Fusion Films is a non-profit video production company that provides broadcast quality video services to non-profit organizations at a discounted rate. Its primary focus is documenting progressive movements, actions, and events for the purpose of furthering those causes and recording them for the historic record. The work of Fusion Films has been featured on television networks such as PBS and MSNBC and has garnered millions of individual views online. We utilize industry standard equipment including the Sony FS7M2, Sony FS5, GoPro's, and professional lighting packages. We edit on top of the line Apple iMac's and MacBook Pro's using Final Cut Pro software, with the capability to export in 4K and HD for broadcast. To receive e-mail notifications when a streamed event goes live, please click the link below. Fusion Films is my eyes, ears, and voice of the movement. 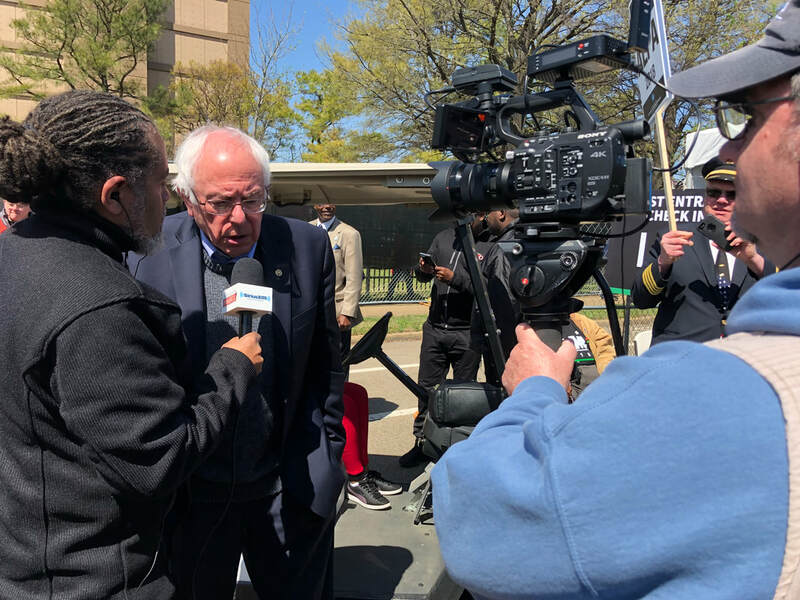 Whether it is a community forum on racism, a concert to raise awareness about immigrants seeking sanctuary, or any other social justice effort for the common good, Fusion Films is our go-to company for filming and live-streaming. They are completely reliable, their work is always outstanding, their passion for justice always shines through, and they are absolutely wonderful to work with. Fusion Films is simply the best.